The Low Countries were at the heart of innovation in Europe in the fifteenth century. Throughout this period, the flourishing cultures of the Low Countries were also wrestling with time itself. The Fullness of Time explores that struggle, and the changing conceptions of temporality that it represented and embodied showing how they continue to influence historical narratives about the emergence of modernity today. The Fullness of Time asks how the passage of time in the Low Countries was ordered by the rhythms of human action, from the musical life of a cathedral to the measurement of time by clocks and calendars, the work habits of a guildsman to the devotional practices of the laity and religious orders. 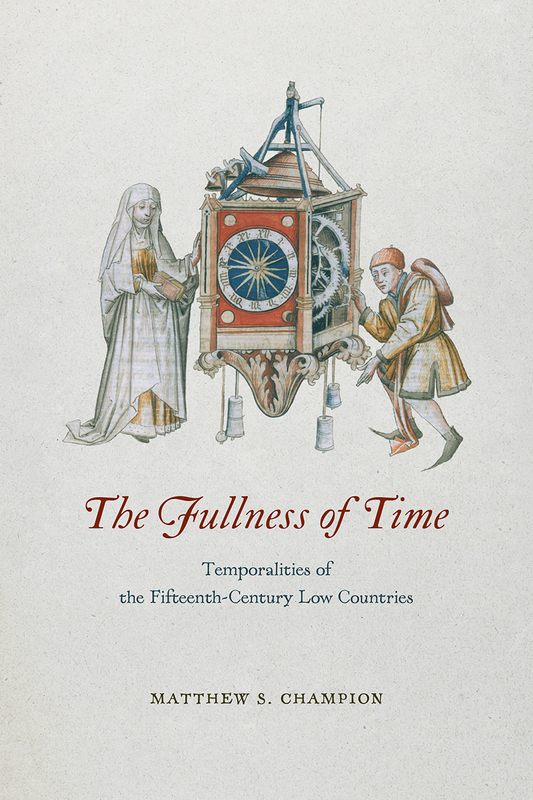 Through a series of transdisciplinary case studies, it explores the multiple ways that objects, texts and music might themselves be said to engage with, imply, and unsettle time, shaping and forming the lives of the inhabitants of the fifteenth-century Low Countries. Champion reframes the ways historians have traditionally told the history of time, allowing us for the first time to understand the rich and varied interplay of temporalities in the period. "Champion’s focus is primarily on how the liturgical intersected with the secular in the fifteenth-century Low Countries, but his work bears far broader implications for the analysis of medieval Augustinianisms, and provides a fundamental analysis for study into the shift towards a secularized, mechanical sense of time."